If you are creating a new Droplet, you do not have to do any manual configuration. 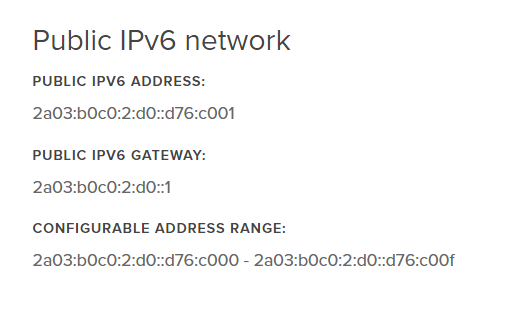 Instead, just check the IPv6 box when you are creating a new Droplet. If you are trying to enable IPv6 on an existing DigitalOcean Droplet, you should now shutdown the Droplet and create an image/backup. WARNING: It’s very important that you have a complete backup of your server because if you mess up the network settings, you may never be able to log back in again. Turn on your Droplet again and log in to SSH. You will need to add your IPv6 address, IPv6 gateway and IPv6 nameservers to this configuration. These details should be in your Droplet’s networking tab. Warning reminder: Did you backup or make an image of your server? Because if the settings are wrong, you may get locked out permanently! Now apply these settings using netplan. If IPv6 is working correctly, you should see some ping responses. 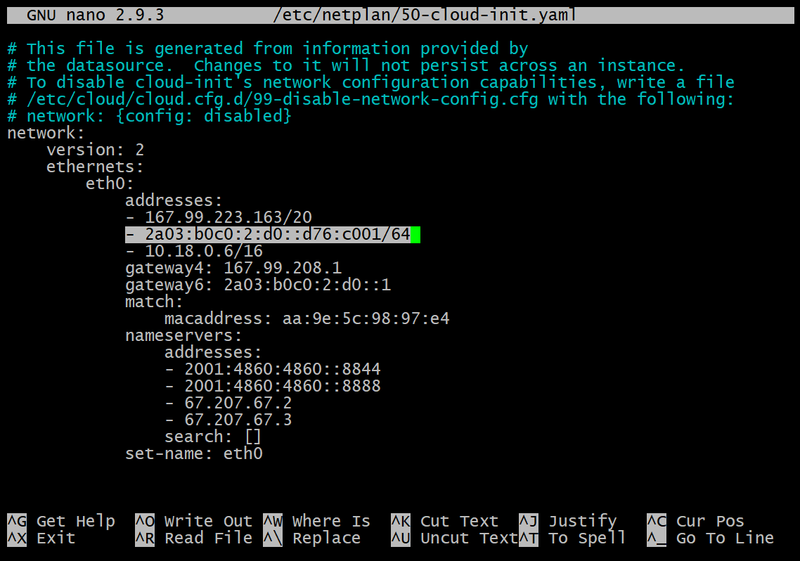 If you have access to another machine, try pinging your server’s IPv6 address. Just keep in mind that if your client or ISP does not yet support IPv6, the ping will fail. Thanks so much!! The “official” DigitalOcean guide didn’t work for me but this did!